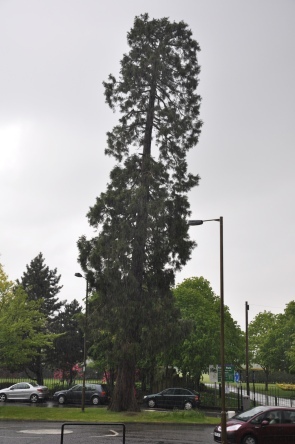 Tam mentioned the location of this Giant Redwood in Victoria Place and says he "came across this Sequoia today driving through Stirling today. 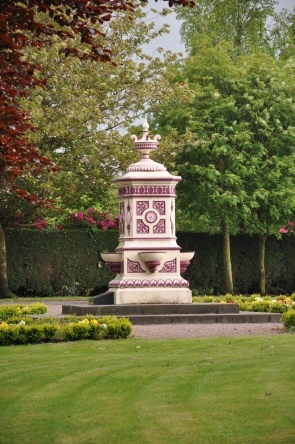 It is on the edge of Kings Park on the corner of Victoria Place below Stirling Castle." I visited in May 2009 and discovered that there is another Giant Redwood on the opposite corner of the road. By the time I got to the trees a monsoon was in full flow, which hampered the photography and prevented measurements being taken. In nearby Kings Park there is an elaborate water fountain, a nice feature, but it was not as if there wasn't enough water falling out of the sky already! 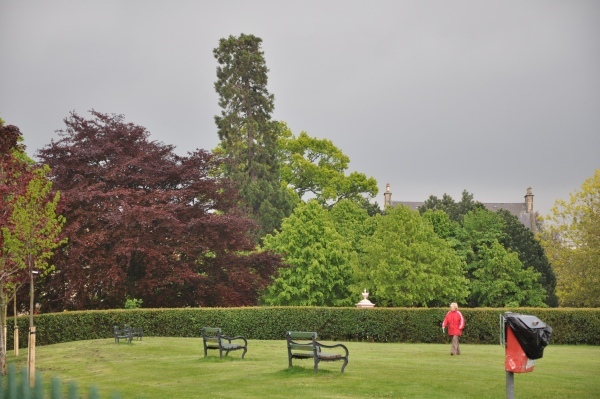 Peggy wrote with some "Sad news, the other Giant Sequoia at King's Park - not pictured on your site -has been cut down. It was the worse for wear after last year's storms, but even so - I don't think people realise what survivors these trees are. 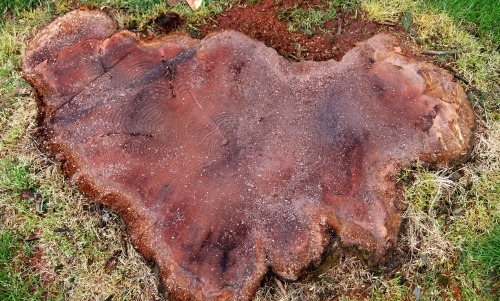 Here is a photo taken by a friend in Stirling of the King's Park redwood stump."